I know you’re probably expecting a show report… because the show did happen. However, I’m a) still processing things and b) sick. So hopefully tonight I’ll get a chance to get my thoughts together and write everything down, but until then here is a fabulous start to the return of the OTTB Spotlight! 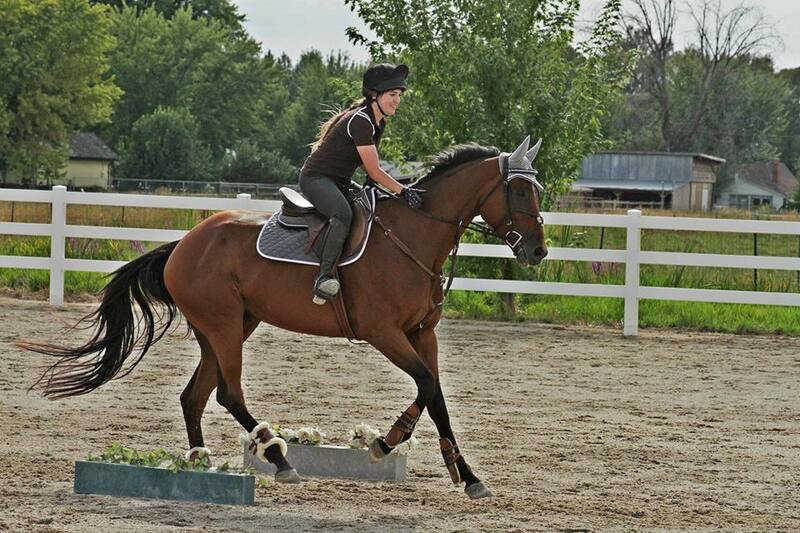 Today’s OTTB showcase has one of the most unique names I’ve heard for a mare… Bacon! I secretly want her to get a barn mate called Pancake. 😉 Then her owner could have ‘Five Mares no Money’ instead of ‘Four Mares No Money‘. What is her registered name? Bacon was never registered with the Jockey Club, on account that her breeder never took the time too. And by the time she was ready to race and needed to be registered, it was too much money. But her show name is “She Sizzles”. Bacon is out of The Borg Queen, who is by Fruition, with Danzig, Raise A Native, and Buckpasser, plus many other big names. She is by Sought After, who is by the famous Seeking The Gold. Seeking the Gold earned more than $2.7 million, including an almost win in the Breeder’s Cup Classic. Also on the sire’s side is Nashua, Tom Fool, Neartic, War Admiral, etc. No. 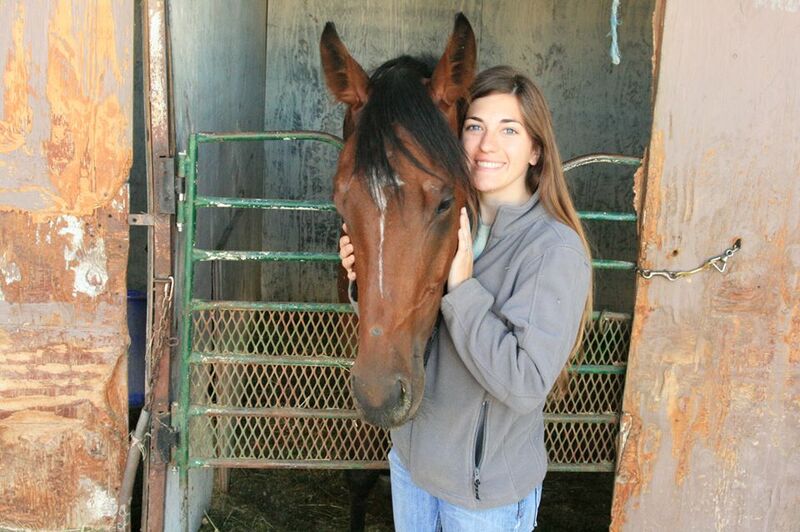 She trained on the track for two years, had schooled out of the gates and worked in company many times, but never raced. What do you do with her now? 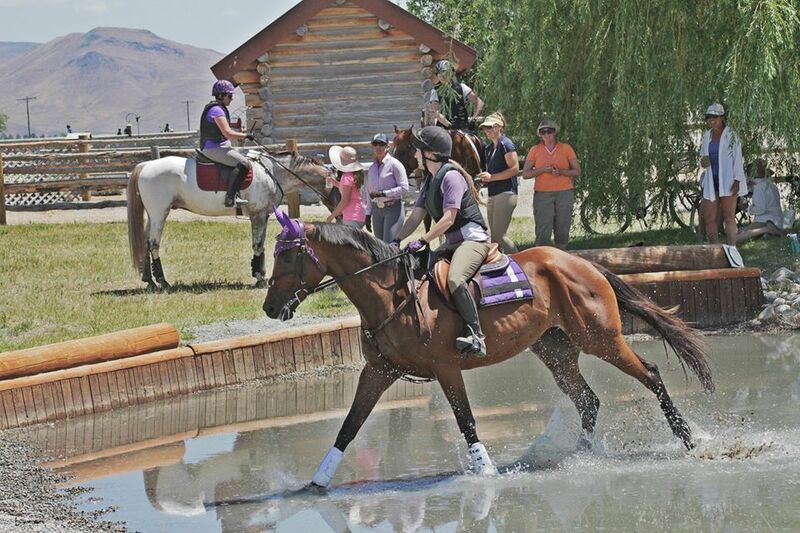 We are dabbling in eventing! So far, she has proved to be brave and honest in all the right sense. She’ll jump pretty much anything I point her at, and takes care of me when those health problems start to creep up. If your OTTB was a musician, who would she be? Oh boy. Hmmm. That would have to be Maria Brink from In This Moment. I listen to metal, and can’t really relate to too many other genres, but Brink can represent the Bacon. She can be soft and pretty and girly, and then turn around and give you a run for your money. 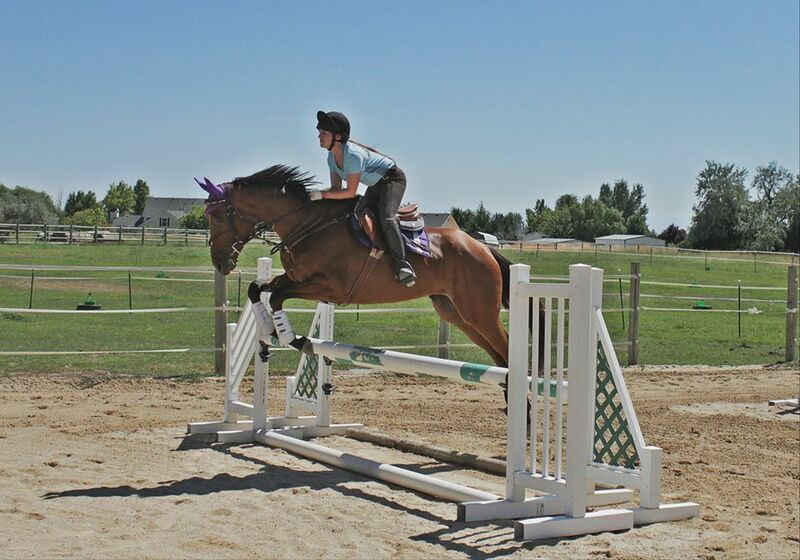 Your OTTB is on a desert horsey island. She can bring three items – what are they? Alfalfa hay ONLY. Get that grass crap outta here! Also, her grain/beetpulp/mash, and probably her mommy. Clippers near the ears, and snapping rubberbands. Jumping ALL the jumps! And taking care of her mother. 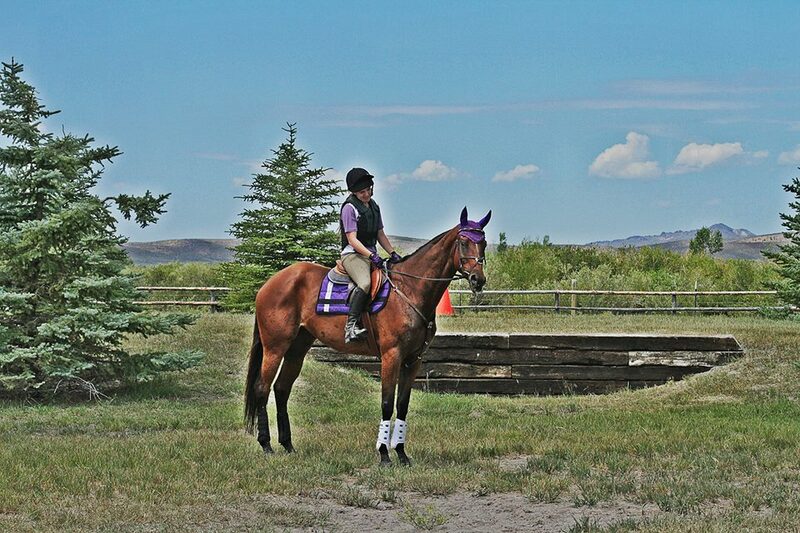 If your OTTB could change one thing about his environment or training, what would it be? She would probably enjoy a floofy stall to rest and roll around in, and automatic access to the pasture and apple tree. 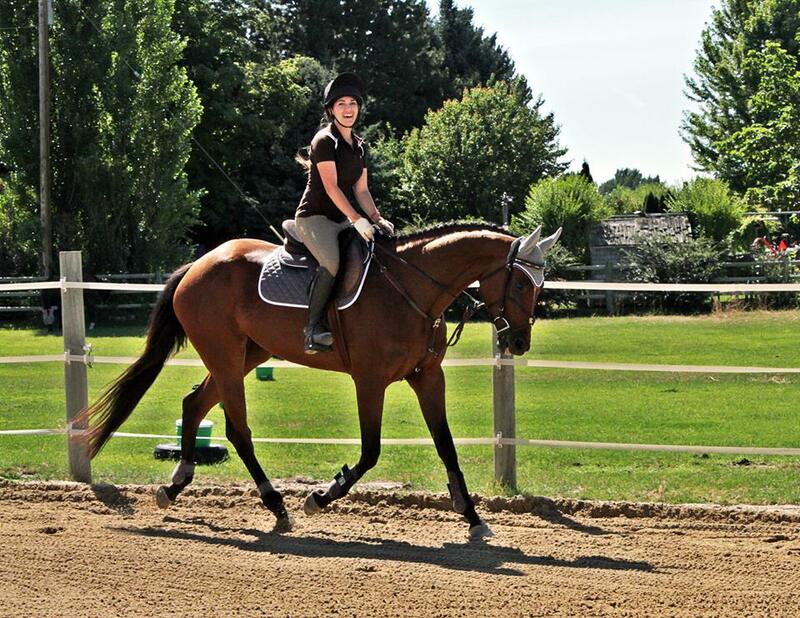 How would your OTTB introduce himself to a new herd of horses? “Hey guys! I’m Bacon. What do you think of these legs? Oh wait, I feel a beat coming…” (Weave,weave,weave). She will try to do her best for me every ride. She wants to please me, and when I feel like I am about to pass out, I can rest my head on her neck and she will hold perfectly still. She is game for any situation, and makes my sickness much more bearable. She gives me dreams and hopes, and I can’t thank her enough for that. Aw, what a sweet looking mare! Love the name! She is beautiful! I love both her barn name and her show name! I love Bacon!! So interesting to hear her history, especially about the fact that she;s so royally bred but never actually raced. Aw I love the Bacon 🙂 Such a nice mare! Yay! 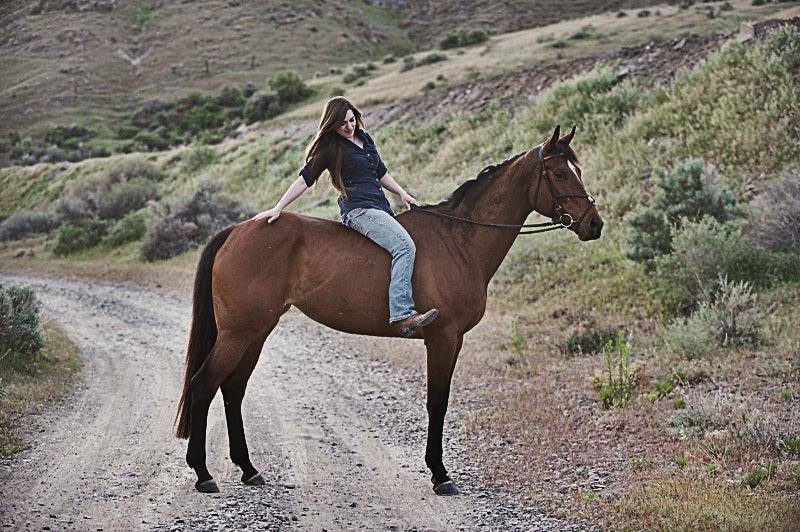 Bacon and I thank you sooo very much for featuring her, and all of the other awesome OTTB’s. I love all of the support the blogging community gives these special horses, and their owners! Bacon, what a great name for such an awesome mare! Love how the barn name/show name relate! They are awesome. I’m lucky to know both of them and the connection they have is just incredible. Bacon is so gorg. Love her! I can’t even get over how awesome the names are…Bacon/She Sizzles is just perfect, but also “The Borg Queen” As a Star Trek nerd, that is an epic name! I am obsessed with the Bacon/ “She Sizzles” combo… how ADORABLE. Gorgeous mare too! Waffles and I aren’t the best of friends…you can have Waffles, and him and Bacon can be friends! The baconator is amazing, the two of you together are beyond amazing. Wow, what a beauty! Great pedigree too!